We took a plane from Bali to Komodo Island and soon after we landed at the airport in Labuan Bajo, we headed over to take a boat to the Komodo Island to see the World famous Komodo dragons. Where is Komodo Island? You may wonder. 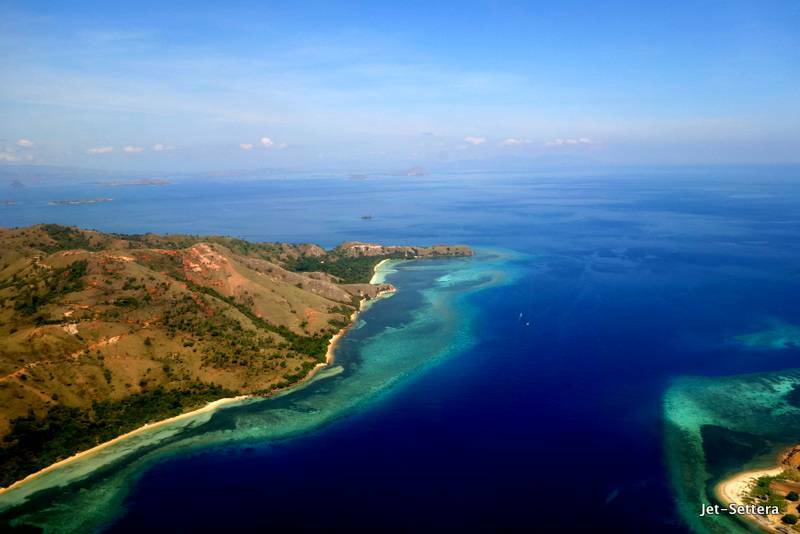 Komodo Island is located North of Jakarta and Bali. It is a quick flight away from Bali. So if you are wondering how to get to Komodo Island, just take a taxi to the port and hop on one of the boats that transports tourists to the Komodo Island. There are Komodo tours from Labuan Bajo twice a day. We were accompanied by a local ranger, who we called Komodo Kevin. Komodo Kevin walked around with a long fork like wooden stick that allowed him to deter the Komodo dragons. He looked serious about the job. We were told that women who had their periods had to be closely followed by the rangers, because the dragons could smell the blood from far away. We were followed around everywhere by the rangers, even to the toilet. After a quick lunch, we headed to the mountains to see these giant, vicious reptiles. We saw a large female dragon nesting. She created holes under the ground to lay her eggs underground. She looked lazy and couldnt be bothered by us. We were warned to stay away. Later, we saw four dragons hanging out in the sun. One of them even had dried blood around his mouth. They were probably well fed and lazy, so they had no interest to come close to us at all. We took lots of photos with them, then we hiked a little longer to take a glance at the surrounding mountains and the beautiful nature. After an amazing day of exploring the Komodo Island, we hopped back on the boat the see the bats flying out of their caves over the Kalong Island. We watched the sun going down reflecting in many different shades. Then suddenly, hundreds of giant bats started flying above us. The bats were as large as birds. We were sitting there watching them flying in large groups for about 20 minutes. We were fascinated by their sizes and their volume. It was a spooky night in the dark, watching the bats flying above us. The night ended with dinner by the pool of our hotel. The next morning we took the boat to Padar Island. This island is one of the best things to see in Indonesia. It was definitely the most beautiful place I have ever seen in my life. We hiked up to the top of the island in the sizzling heat. I was hiking in flop-flops. It was a bit dangerous as I was slipping down in the dust, but in the end, I managed to reach the top. The view from up there was spectacular. The scenery reminded me of the mountains in the Jurassic Park movie. Green mountains were surrounded by turquoise water. It was the most beautiful view I have ever seen. Hiking up to the top is one of the top things to do in Indonesia. After hiking to the top of Padar Island, we took the boat and headed over to Pink Beach to have lunch there. We sat on the pink sand and had some Indonesian picnic style food that the local ladies served us. 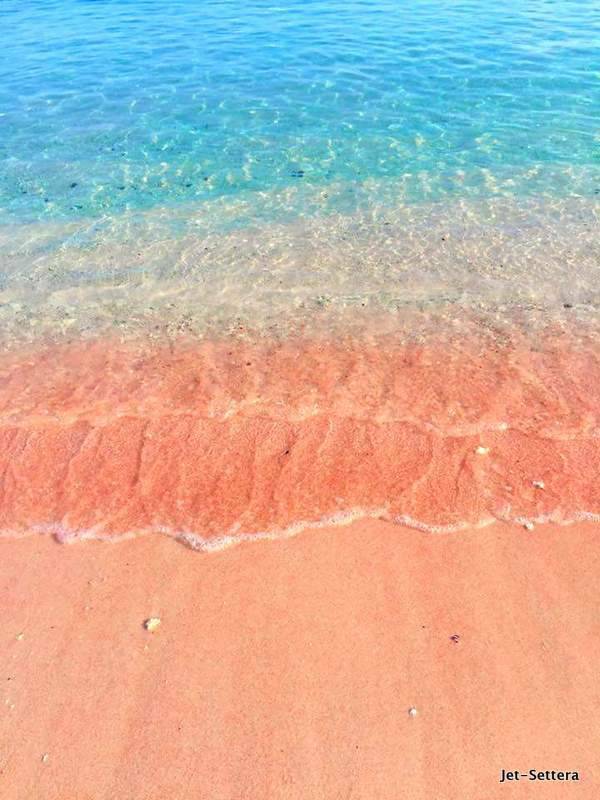 The white sand, was colored by pink micro particles of corals. It was beautiful. The water was crystal clear and everyone jumped into the ocean right away after lunch to snorkel. A few of us jumped back on the boat and headed out to the deep water to scuba dive. Swimming in the crystal clear waters of the Komodo Island is one of the best things to do in Labuan Bajo. Read more about the beautiful beaches of Indonesia by Nina. Diving in Batu Bolong was absolutely spectacular. It was a shallow dive, but the visibility was amazing, we saw a few large turtles in the water, colourful corals everywhere and large group of colorful fish. Some fish were huge. We saw deep coral walls and pinnacles. The water was really warm and when we reached the surface, we could see a giant full moon on the sky. The stars lit up the surface of the ocean. It was a beautiful night. We headed back on our boat in the dark to reach the shore. The dark was a bit intimidating and romantic at the same time. 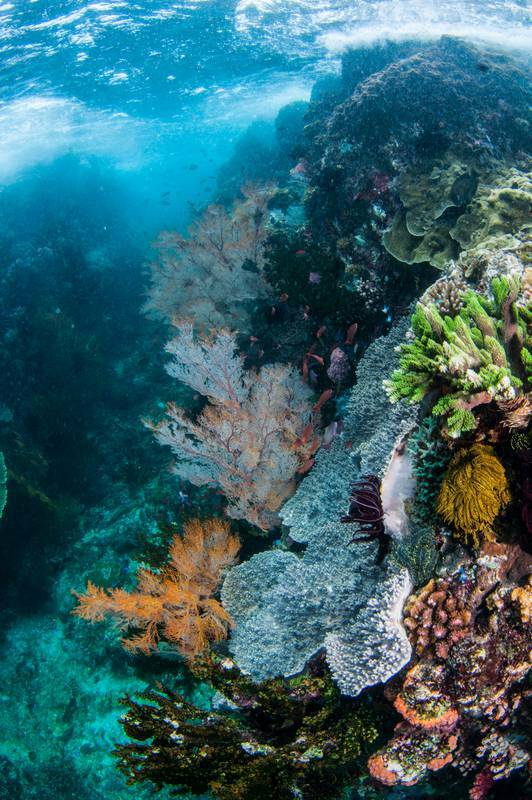 Diving is one of the best things to do in Indonesia. The next morning, we were taken to visit a traditional local village of Flores. If you are wondering what to do in Labuan Bajo, make sure to visit the Melo Village and observe a Caci dance performance. After a winding bus ride from our hotel to the Melo Village, we were welcomed by a group of local men and women at the entrance. They were very excited to see us and they gave everyone an embroidered scarf as a welcome gift. After they ushered us inside, they performed a traditional Caci Dance for us. 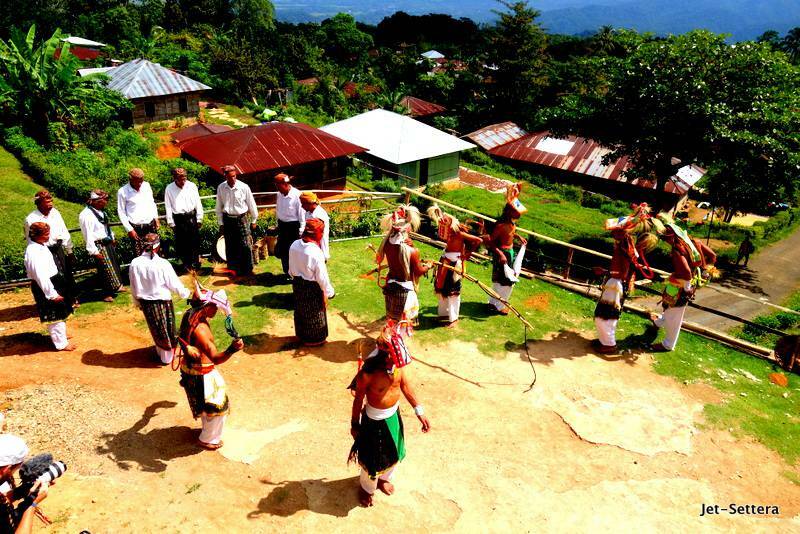 Caci is a traditional fertility dance performed by two men who are competing against each other. It is a whip and a shield duel. Tension is created by the performers by running back and forth towards each other. In the end, the women participate in the dance too. After the show, we were invited inside to taste their traditional spirit. The oldest member of our team got to sample the alcohol first. We were all delighted to start drinking early in the morning. Finally, we took photos with the performers and then said good-bye to them. After a short ride in our minibus, we reached the restaurant called La Cucina in Flores. The place offered the most delicious Italian food you could get in Asia. A visit to this restaurant is one of the best things to do in Flores. The restaurant had a cute atmosphere. We felt like we were sitting in someone’s kitchen in Southern-Italy. Everything was made of wood. The food was really tasty. They were serving us bruschetta, salads, pastas, pizzas. Everything was fresh and delicious. We could even order gluten-free pizza. This restaurant was a real treat after eating Asian food for 10 straight days. From the restaurant we rushed to the airport to take off for our next and last destination, Bali. The Labuan Bajo airport was made of all glass. It was futuristic and modern. I felt like I was in a big modern city, not a small tiny island in Indonesia. Then we hopped on a plane and flew to Bali. 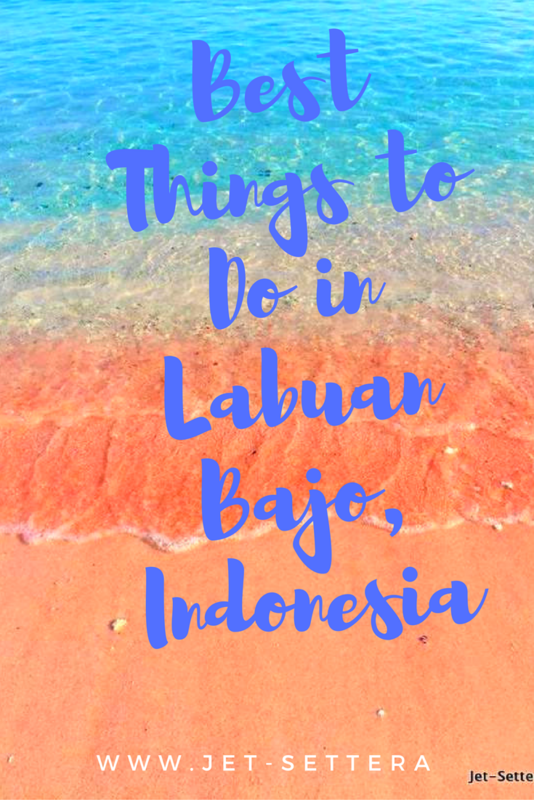 A trip to Labuan Bajo was surely a memorable experience. Disclosure: I participated in the above trip free of charge for the purpose of this article as part of the Wonderful Indonesia campaign. The article reflects my unbiased opinion about the country and I won’t recommend anything to my readers that I did not like. 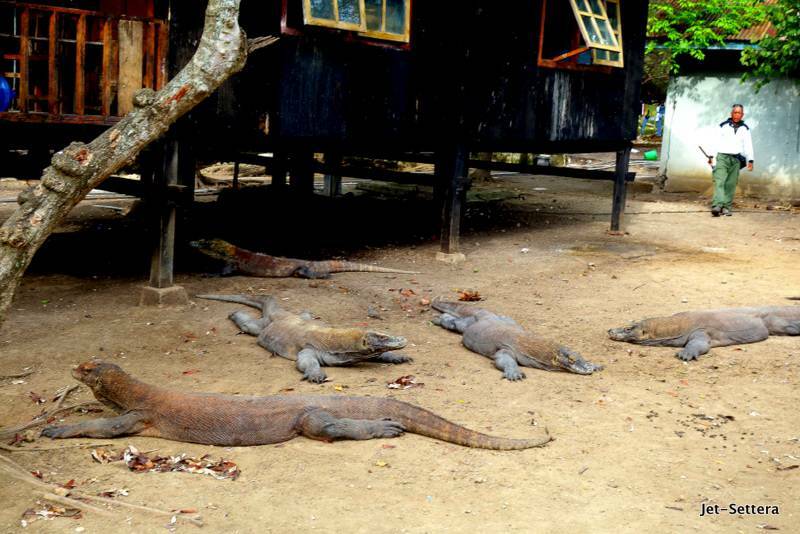 Tagged exploring labuan bajo in Indonesia, visit the Komodo dragon.